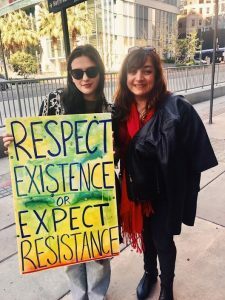 Thousands flooded the streets of downtown Los Angeles for the 3rd annual Women’s March on Saturday and in the crowd were plenty of South Pasadenans, including the city’s mayor, Dr. Marina Khubesrian. “It’s a very important day,” said Khubesrian, who, like others, enjoyed ideal 75 degree weather for much of the event that took demonstrators from Pershing Square to City Hall. The first march in 2017, one day following President Donald Trump’s inauguration, was a major spectacle drawing hundreds of thousands of people to Los Angeles, New York and Washington D.C., along with dozens of cities across the United States. 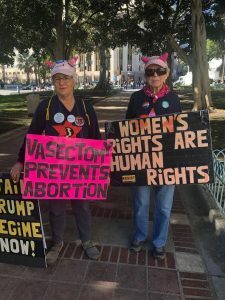 Locally, marches were held this year in Santa Ana and Riverside County. Saturday’s event featured musical performances and motivational speeches. 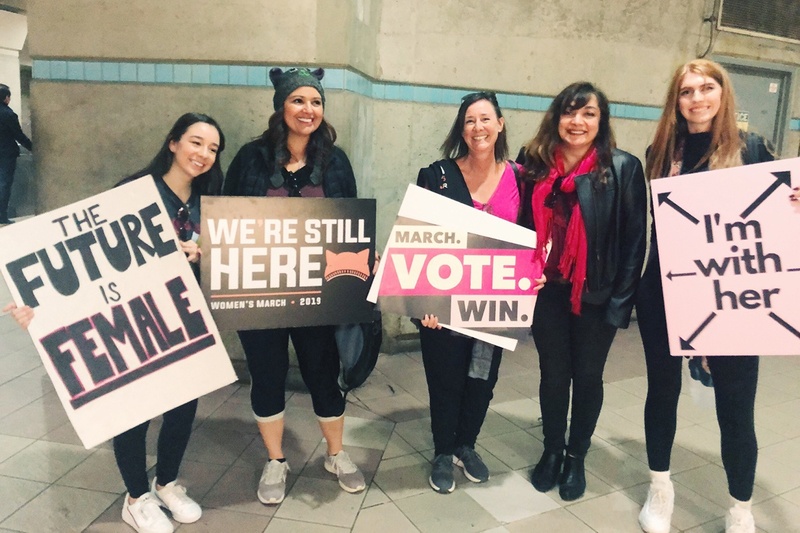 Among the speakers at the event were L.A. Mayor Eric Garcetti, actress Laverne Cox, L.A. City Councilwoman Nury Martinez, U.S. Rep. Katie Hill, lawyer Gloria Allred, and L.A. County Supervisor Hilda Solis. A march for OneLife L.A. was also held in downtown Los Angeles on Saturday. Thousands joined Archbishop Jose Gomez in the annual anti-abortion event.